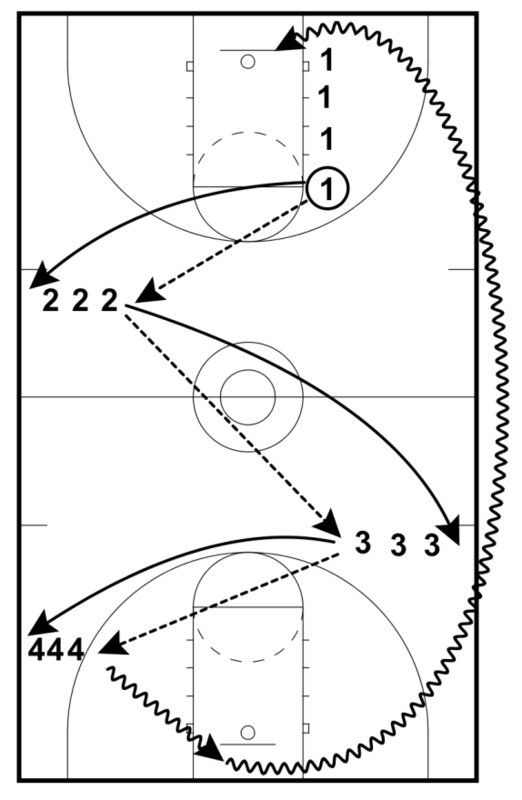 This play is designed to get you a lay-up in transition. Player 4 rebounds the miss and outlets to Player 1. Player 1 dribbles upcourt. 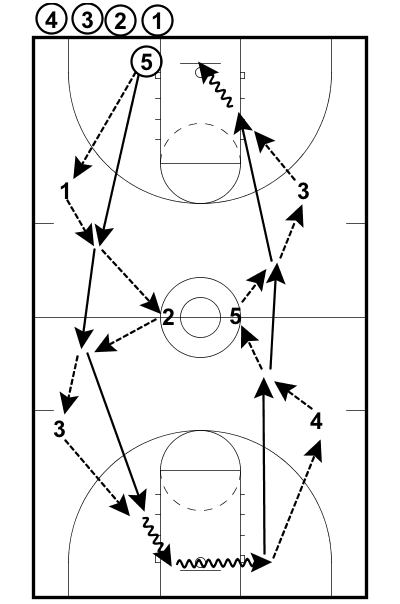 Player 4 trails and sets a ball screen out of transition for Player 1 then pops high. 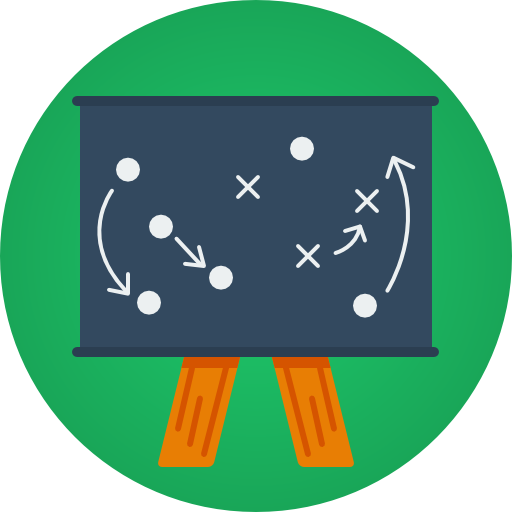 Player 1 penetrates off the screen then kicks the ball back to Player 4. 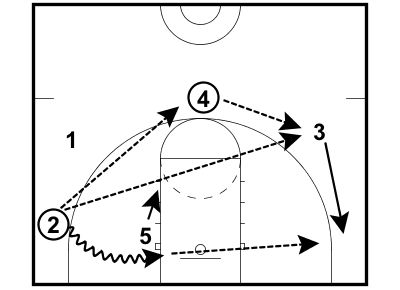 Player 4 looks for high low to Player 5 shaping up in the lane.